An unrelenting wave of frozen water, falling swiftly, then blowing sideways. White, white, everywhere, like a blank page presenting itself to an intimidated artist. And it’s really cold, too. 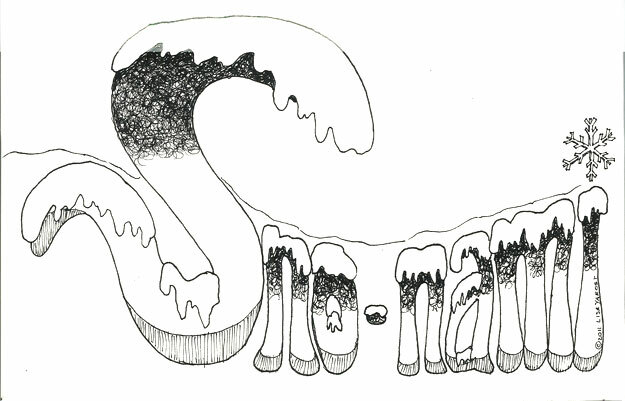 This entry was posted in Art, drawing, Humor and tagged art, Drawing, Hand drawn type, ink, postaday2011, sno-nami, snow, snowmageddon, Type, Typograpy, wind, winter. Bookmark the permalink.